Following their loss to Limerick in the opening round, the Wexford hurlers have started their climb of the National Hurling League. Wexford fans will be extra-delighted, knowing of Lee Chin’s and Rory O’Connor’s return to the playing field. With the Wexford footballers defeating Antrim in the Allianz NFL, it was a good weekend for Wexford GAA. M. Fanning, D. Reck, M. O’Hanlon, D. Byrne, S. Donohue, P. Foley, S. Murphy, D. O’Keeffe, K. Foley, P. Morris, D. Dunne, J. O’Connor, C. Dunbar, C. McDonald, L. Og McGovern. Jack O’Connor (0-06, 5f), Cathal Dunbar (0-03), David Dunne (1-0), Dee O’Keeffe (0-02), Rory O’Connor (0-02), Paudie Foley (0-02, 1f), Shaun Murphy (0-01), Conor McDonald (0-01), Simon Donohoe (0-01). 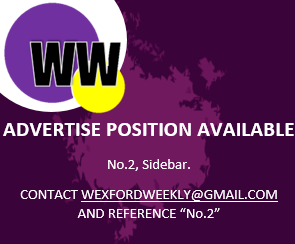 Fitzgerald’s Wexford side, who sit on fourth place after round two, will have a break next weekend, but the Yellowbellies will be eagerly awaiting a clash against Tipperary in Innovate Wexford Park the following weekend.